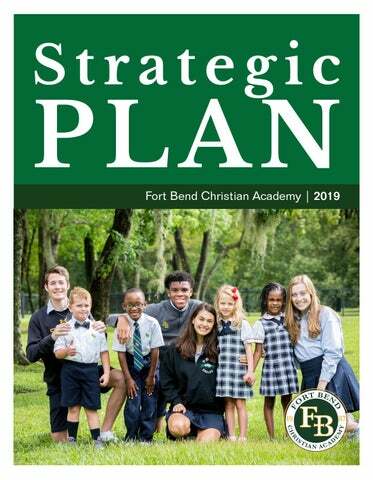 Strategic Plan Objective: To be the number one destination for excellence in collegepreparatory Christian education within the region. Mission: Fort Bend Christian Academy exists to glorify God through excellence in college-preparatory Christian education. It is the mission of Fort Bend Christian Academy to equip students to thrive spiritually, academically, socially and physically. Strategic Initiatives: The Strategic Plan consists of seven Strategic Initiatives: Academic and Co-Curricular Student Profile, Stakeholder Engagement, Financial Sustainability, Branding and Marketing, Faculty and Staff and Infrastructure. Seven Sustainability Indicators will be addressed via the Strategic Initatives. Student Profile In our ongoing effort to build the number one learning destination in our region, we must constantly address what distinguishes FBCA as it relates to our students and ultimately, our graduates. This initiative addresses the requirements to both identify and graduate students that are well rounded and adhere to our â&#x20AC;&#x153;believe. achieve. lead.â&#x20AC;? ideals. We seek to find the proper balance of faith, academics and leadership as we build an organization made up of the right culture to equip our students to prosper at the next level. Stakeholder Engagement Having an engaged school community is essential to successful fundraising. FBCA believes strongly that its stakeholders are critical to future success. Stakeholders include: parents, teachers, staff, students, alumni, local community partners, among others. When a person feels connected to an organization, they are more willing to support that organization with both time and resources. Therefore, the purpose of this initiative is to create a culture of philanthropy, encourage a higher level of giving, and enhance community engagement through fundraising, events and personal relationship building. Financial Sustainability Beyond the spiritual and academic excellence necessary for FBCA, financial sustainability is critical to the viability of the school. 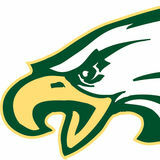 One of the key challenges is balancing the need to maintain financial sustainability with the pursuit of providing, under FBCAâ&#x20AC;&#x2122;s mission, adequate facilities and infrastructure in addition to high-quality educational programs with competitive and diverse offerings in athletics, fine arts and other cocurricular programs. Branding & Marketing FBCA is committed to effectively communicating who we are as a school – our mission, our values and our accomplishments. This initiative will identify ways FBCA will market the school in the region to create a distinguishable brand and long-lasting relationships with current and prospective families. Faculty & Staff In order to become the number one destination for college-preparatory Christian education in our region, FBCA must continue to attract, hire and retain top-tier faculty and staff who will inspire our students to excellence to the glory of God. In the fall 2017, a survey of faculty and staff indicated that compensation was a significant factor in hiring and retaining high quality faculty and staff. We also strongly believe there is a significant spiritual component in building and retaining the region’s finest team of Christian educators and staff. In addition to offering compensation that is competitive with area independent school districts (ISDs), we believe FBCA’s inspiring mission and culture where faith in Christ is nourished in a warm, supportive Christian community will help attract, hire and retain highly qualified faculty and staff. Infrastructure In order to provide an environment ideally conducive to excellence in academic, athletics, and fine arts, FBCA must continuously define and deliver premier campuswide infrastructure. This will consistently provide FBCA with the necessary facilities and resources to be the number one destination within the region. This initiative strives to ensure our students and faculty are provided with ample resources necessary to achieve greatness on a daily basis.